It was just 7 years ago, Marla Lichtenberger and I met for the first time to discuss a Public Relations and marketing plan for her veterinary hospital, the Milwaukee Emergency Center for Animals (MECA). I will never forget the conversation of our first encounter…. Marla and I immediately got down to business. Early on, Marla laid out her visionary blueprint of how her life was going to go. 1. She would build her Animal ER Hospital by employing the most amazing doctors who would practice extraordinary medicine. 2. 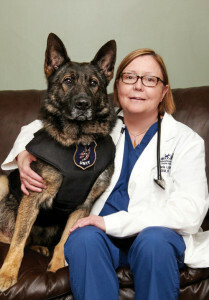 She would start a foundation to help keep police dogs safe from harm. 4. She would to reach out to the fire departments and train them on pet CPR. 6. She would start a fund to help those animals when owners couldn’t afford treatment. 7. She wanted to throw out the first pitch at a Brewer’s game. 8. She wanted to help ordinary people do extraordinary things. 9. And finally, when the time was right, she would sell her business and travel with her family. Marla loved her family. As a Doctor and critical care specialist of Veterinary Medicine, Marla frequently spoke on critical and emergency care for exotics and small animals. She served on the board of a committee that prepared the first exams for small mammal medicine and was a published researcher. 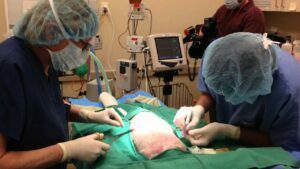 In 2015, Marla teamed up with Trauma expert Dr. John Weigelt of Froedtert Hospital, and together they were the first doctors ever to successfully transplant pigskin on a severely burned dog. Milwaukee’s Beatrice had been severely burned and without the transplant and Marla’s determination to save her, Beatrice may not have survived. This story made world news. Over the years, I grew amazed at Marla’s work ethic. Her drive, determination, her resolve — totally, unmatched. In December of 2016, Marla and I met with a colleague who was interested in partnering with Marla and her 24/7 Animal ER. It was late, and on the way home from that meeting, Marla made the decision “it was time.” It was time to sell her business. A few days later, Marla was diagnosed with cancer. True to form, Marla continued to work hard as she could while all along “Team Marla” presented her business to those in the industry. As we negotiated, I couldn’t help but be humbled by a woman who took nothing and built it up to such a valued brand. Yes. Marla was an example of the success that some of us can only dream of yet, somehow that big ego of hers hadn’t realized just how successful she was. Undeniably, together, we built a brand, established a Foundation, produced numerous special events, created a television show, and yes, Marla went on to win the Brewer Achievement Award and was honored by throwing out the first pitch at a Brewers game. Yet, Marla wasn’t finished…… there was one more unexpected life event to come. Unexpectedly but, very timely – Marla found love. Having a partner let alone finding love wasn’t something Marla thought was in the cards for her. In the end, I can only imagine it was that love that Marla cherished the most. Yes. The Gods were kind after all. Today, I believe with all of my heart, life is not by happenstance, there are no accidents – no coincidences in life. After all, isn’t every single thing we do – we do for love? My friend, although I didn’t see you much during the last year or so, I thought of you often and only felt gratitude that I was able to witness your life. A life lived fast as you accomplished so very much in such a short time. May your legacy live on in the hearts of those you’ve touched and by those who continue your work whether through helping animals or through their humanitarian efforts. 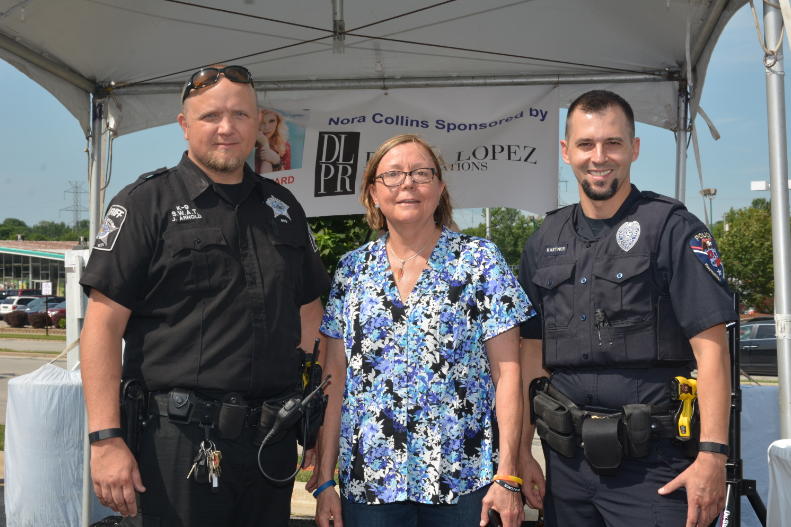 Debra Lopez Public Relations, Inc.
Marla was truly an amazing individual. How fortunate for both of you that a higher power brought you together. The animal world – and the planet in general – needs more people like Marla. Great tribute, Debra.